Hair Loss Shampoo | Best Shampoo for Healthy Looking Hair | Nutritive Ingredients Feed and Hydrate Hair - Luxury Beauty Care Products ! Made with more than 20 herbal ingredients. With hair loss, one of your first considerations should be if there are any chemicals in your hair care products that could be causing hair loss or preventing healthy growth. These chemicals can be too harsh and damage your scalp and follicles while leaving harmful residue which may actually cause hair loss. Eliminating possible causes of hair loss such as chemicals in your hair care products can result in healthier hair. 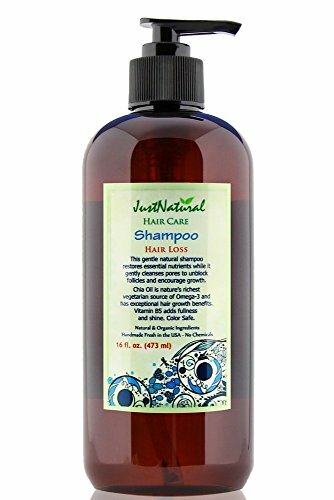 Our shampoo for hair loss is boosted by more than 20 of nature's most potent ingredients that revitalize your scalp and hair follicles with rich natural nutrients for the best looking hair possible. This sumptuous gentle sulfate free shampoo promotes, pampers and renews by starting at your roots and finishing at the tips for hair that feels and looks great while being nourished.With hair loss, one of your first considerations should be if there are any chemicals in your hair care products that could be causing hair loss or preventing healthy growth. This entry was posted in Hair Care on October 21, 2016 by admin.